Thoughtful changes in all the right places improve comfort and efficiency on deck and below. If you want a new-model powercat in the 20-something range with a cabin, your choices are very limited: Glacier Bay, Twin Vee, and World Cat are just about the only production builders around. Luckily, Glacier Bay has released a new boat—the 2770—which is sure to garner the interest of cat-lovers everywhere. 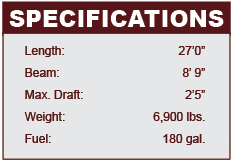 The Glacier Bay 2770 is powered with twin outboards up to 150 horsepower. With 300 horses it cruises efficiently in the upper 20-knot range. The 2770 is a new incarnation of the 2670, with some significant changes and upgrades in seating, layout, and cabin. Fortunately, Glacier Bay kept the same exact hull design—thanks to the pair of knife-like entries and the tunnel between the two hulls, this is one of the smoothest-riding 27-foot designs on the water. Changing it would have been crazy. The biggest upgrade is evident in the cabin, where a new arrangement relocates the head aft, behind the cabin entry. This not only provides a little more separation between the facilities and the living quarters, it also makes room for a pull-out shower. Privacy depends on a curtain, but adding a bulkhead here would have made the cabin seem a lot more cramped. And cramped is one thing you won’t feel anywhere on this boat. 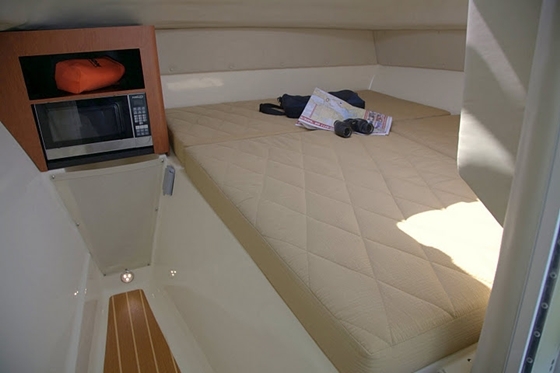 The helm-deck, for example, has roomy seating galore with a large L-seat to port and a double-wide flip-down bolster bench seat for the captain. And when that captain gets thirsty, the wet bar is within reach. It houses a sink and an optional refrigerator. 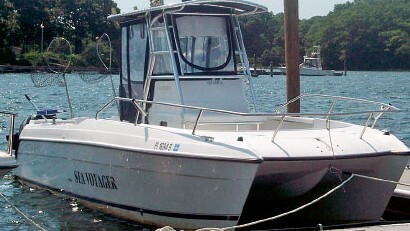 Anglers, however, will be more interested in the tackle/rigging station behind the passenger’s seat. 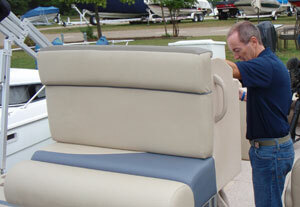 It has four tackle drawers, bulk stowage, a 20-gallon livewell, and a Corian top. 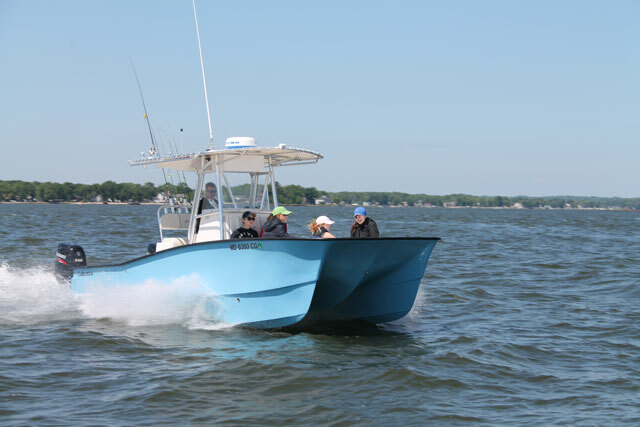 Other fishing features include a pair of 100-quart insulated, macerated fishboxes in the deck, under-gunwale rodracks, gunwale-mounted rodholders, a raw-water washdown, and a freshwater transom shower. Down below there's a large double bunk to starboard. In this revised design the head has been moved aft by the companionway and shielded by a curtain. 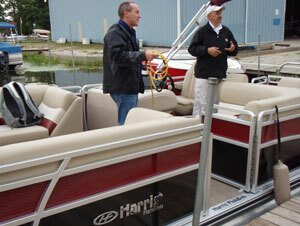 Like its predecessor, the 2770 runs on a pair of outboards up to 150-hp. 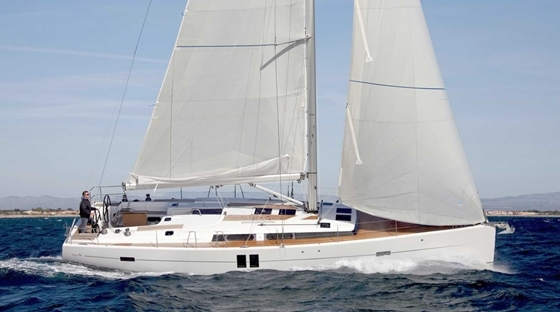 And thanks to the twin-hulled design, it gets notably better performance than monohulls of the same size and weight with equal horsepower. In fact, you can plan on cruising in the upper 20s or lower 30s while getting around two miles to the gallon. Goose it up to WOT, and you’ll break 40 mph while getting around 1.5 miles to the gallon. Since each hull holds 90 gallons of fuel, that means this boat can go to the canyons and back on a single fill-up—twice. Is the 2770 really canyon-capable in the first place? Silly question. Like other Glacier Bays, it’s built thoroughly tough with the stringers, hull, and deck chemically bonded to one another. Voids are filled with foam, engine mounts are backed with aluminum plates, deck hardware is backed and bolted with nylock locking nuts, and hatches are resin-infused to ensure the maximum strength with minimal weight. 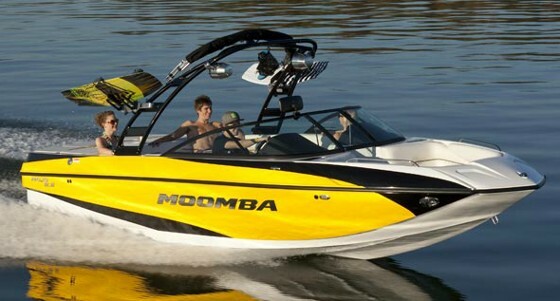 Go careening through a series of inlet breakers at full-tilt, and you can feel the boat’s unyielding attitude underfoot. Of course, you’ll wonder -- are those soft landings due to heavy-duty construction, or the compressed air cushion that’s formed in the tunnel between the two knife-like hulls? That’s a good question—and it’s the one that makes cat-lovers out of boaters, everywhere. 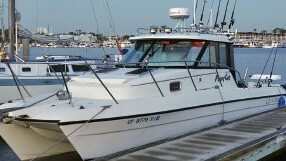 Other choices in this type and range of powercat include the Twin Vee 26 Express and World Cat 290EC. For more information, visit Glacier Bay.